Remnants of missile fired from Syria towards Israeli aircraft found in northern Israel. 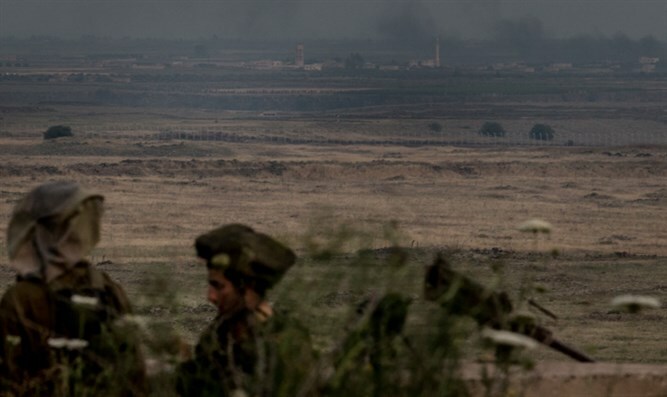 The remnants of a missile fired from Syria Thursday night were found inside Israeli territory Friday afternoon, less than 24 hours after IDF airstrikes hit an Iranian weapons depot south of Damascus. The projectile has been identified as an anti-aircraft missile, which was apparently fired by the Assad regime’s air defense network Thursday night after Israeli aircraft hit Iranian military positions inside of Syria. The missile fragments have been taken for analysis by investigators from Israel Police and the IDF. On Thursday, the Syrian government, various Arab media outlets, and the anti-Assad Syria Observatory for Human Rights reported that Israeli Air Force jets had attacked targets inside of Syria. The Observatory claimed that two missiles hit a compound maintained by Iran in Syria. The targets of the attack were "weapons depots belonging to the Lebanese Hezbollah (militant group) as well as Iranian forces,” Rahman said. Syrian state news outlet SANA said the Syrian military opened fire during the airstrikes, and claimed to have shot down one of the planes – a claim which was not independently verified. "Our air defenses fired on hostile targets over the Kisweh area and downed them,” SANA claimed.